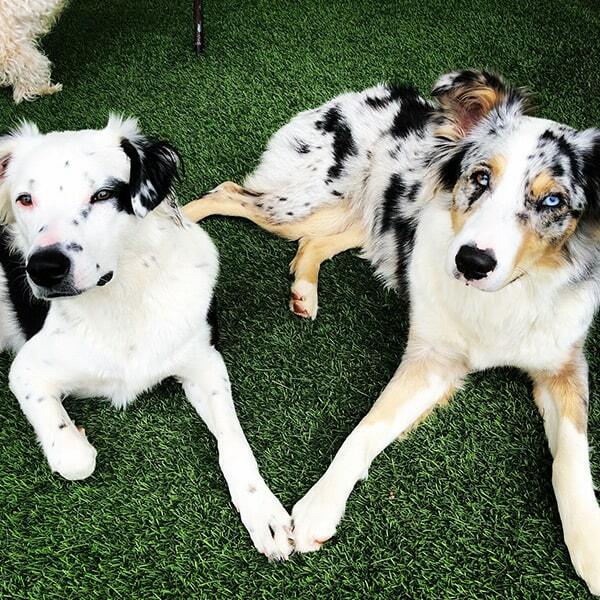 The Dog Eaze Inn is proud to offer our fun, enriching and safe Doggie Daycare. 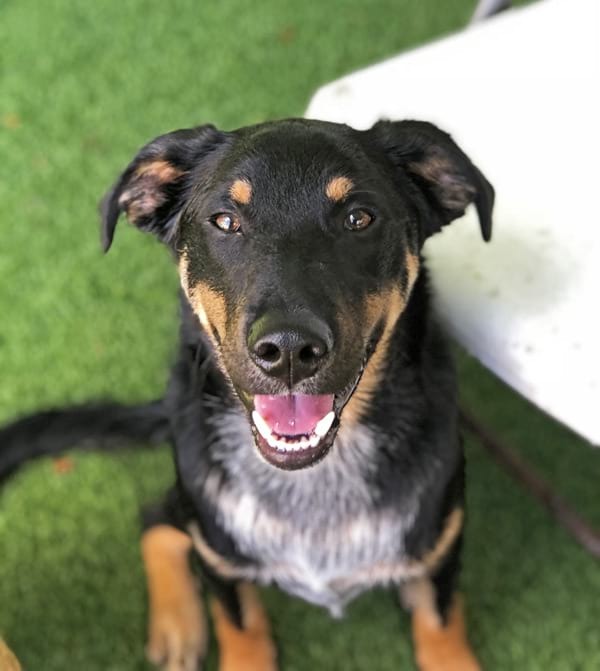 Dogs are social animals by nature, and Daycare at The Dog Eaze Inn provides your pet a fun and safe place to play during the day. We know that a one-size-fits all approach doesn’t work for every pet, so we offer several options including traditional group play daycare, day stays for dogs who enjoy playing with humans more than other dogs, and TLC enrichment daycare, which offers an enhanced level of hands-on care and mental stimulation to meet the unique needs and qualities of each dog. Our Play Daze daycare program allows well-socialized dogs the opportunity to interact with other dogs in a safe, monitored environment. We have created a program where our guests follow a routine incorporating playtimes, lunch and nap time, and overall fun to keep dogs engaged throughout the day, which means a happy, fulfilled dog at home with you! Our TLC Enrichment Program incorporates small group play sessions, combined with hand-selected activities, which may include training games, scent tracking games, brain games and puzzles, as well as water-themed fun. Dogs benefit from the quality play sessions and enhanced personalized attention. Puppies learn good manners through structured games and activities and gain the confidence to read other dog’s social cues in a fun, safe environment. Highly intelligent dogs who become bored very quickly, and may often become labeled as troublemakers, benefit from structured play times and challenging games that are designed for both mental and physical stimulation. The adult dog who is new to socialization but shows a big interest in interacting with other dogs will benefit from a controlled approach, which includes dogs who are specifically selected to gently welcome a new friend. 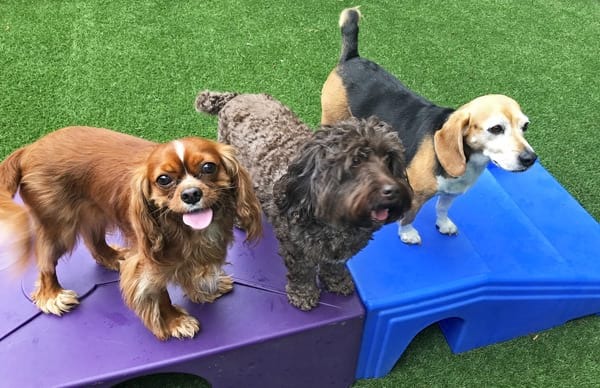 Dogs on the shy side who may prefer human interaction over making new canine friends will enjoy one-on-one activities with our highly trained team of pet lovers, getting to do exactly what they enjoy most! Adult dogs that still get around great and love to have fun, but have a shorter tolerance level for larger groups of dogs will enjoy interacting with smaller groups of dogs who share similar temperaments and play styles. Office open between 8 am - 12 pm and 1 pm - 5 pm, drop-off and pick-up can be at any time during these hours. Play Daze Daycare is closed on Sundays and all major holidays. We are glad to accommodate pet drop-off or pick-ups outside our normal hours when possible. Please call us to pre-arrange accommodations for after-hours services. Additional charges may apply. 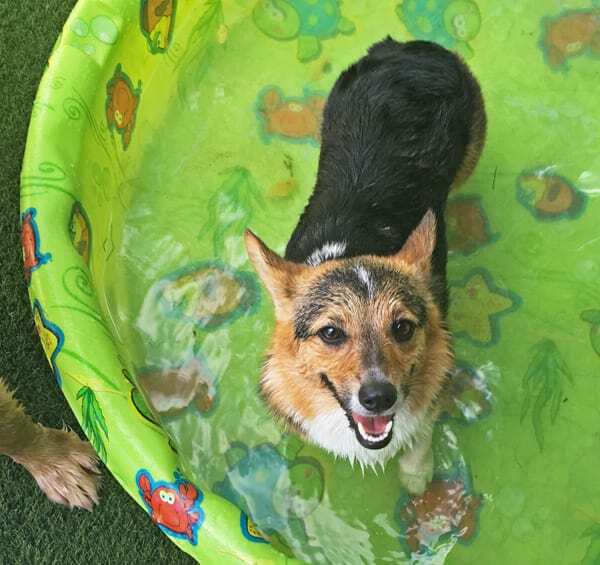 We offer four separate fun-filled outside group yards and three one-on-one yards to accommodate dogs of different sizes and activity levels. Our yards are all outside, however, a portion of each yard will be covered in the event of inclement weather and to provide shade during the summer months. In the event of significant rain or snow, daycare will be held in one of our indoor daycare rooms. We keep our innkeeper-to-guest ratios low to ensure the safest playgroups. This enables us to match our guests’ personalities and playing levels appropriately. Each member of our daycare team has received specialized training in dog body language and behavior, as well as pet CPR and first aide. Ask us about our Discounted Multi-Day Daycare Packages. The more days, the more you save. 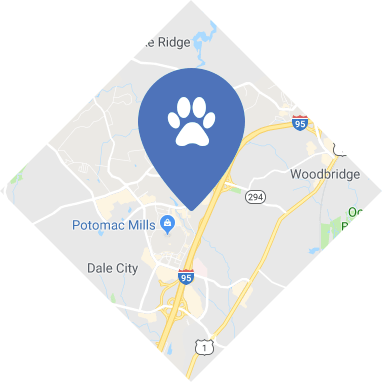 When you call us, we will ask questions about specific characteristics about your pet, and we’ll tell you more about Daycare at The Dog Eaze Inn. Then we will schedule a day for your dog to come for a visit. During the visit, we will conduct an assessment of your dog’s personality, temperament and play style when introduced to other dogs. Be at least 6 months old (unless in our puppy group). Be in general good health and have written proof of up-to-date vaccinations. Be on a routine flea and tick program. Be in good health. Dogs that have been ill with communicable conditions in the last 30 days will require veterinarian certification of health to be admitted or readmitted. Have not harmed or shown any aggressive or threatening behavior towards any person or dog. The safety of each guest and our pet care team is our top priority and we take every precaution to ensure each dog has a pleasant and enjoyable experience with us. To ensure the heatlh and safety of each guest, we require that all vaccinations are up-to-date and on file prior to arrival. We highly recommend the bivalent Canine Influenza Vaccination (CIV) however it is not required at this time.